We live in a quiet neighbourhood so we ask you please to respect this. No pets. No smoking. No parties. Please remove your shoes. Wow! The pictures looked great on the internet, but when we arrived we were blown away by the spectacular view (Wellington put on perfect weather for us!). The location of the apartment is in a very quiet area but it is only q quick drive into town. The apartment is spacious, tastefully decorated and had all the amenities we needed to help us have a fantastic weekend in Wellington. We will definitely stay here again and would recommend as a great holiday stay. We were amazed at how beautiful this property was! We were amazed at how beautiful this property was! Brett was so easy to work with, even with very short notice. Highly recommend this property and will definitely use in the future! Great location - lovely view of the ocean and Wellington. Great location - lovely view of the ocean and Wellington. Fantastic house with everything that you would want and need. Would highly recommend to anyone looking at staying. Lovely apartment with fabulous views. Excellent property that was maintained to a very high standard and the apartment had a stunning view of the harbor and city. I would highly recommend this propert. Absolutely stunning views of Wellington, gorgeous clean house. 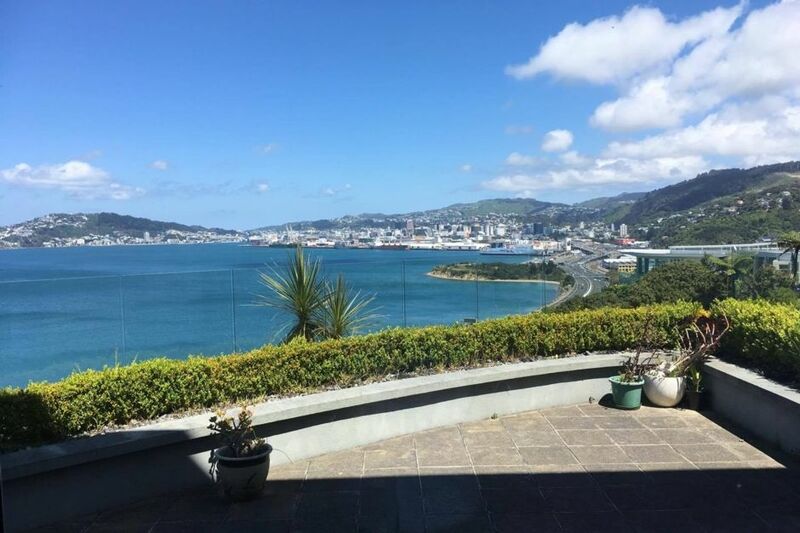 Absolutely stunning views of Wellington, gorgeous clean house. Nice quiet area. We left feeling very relaxed. Great value for money for our family of 5.